Thank you for visiting the website of Lutz Chiropractor Dr. Scott Paton and Paton Chiropractic and Sports Medicine - a professional Lutz chiropractic clinic. In practice as well as online, Lutz Florida 33559 chiropractor Dr. Paton strives for excellence through superior patient treatment, education and satisfaction. Dr. Paton is a licensed chiropractor that is certified in acupuncture, certified athletic trainer, and has a masters degree in sports injury management. Less than 1% of all chiropractors hold this distinction. As reported in a press release by the International Federation of Sports Chiropractic (FICS), Dr Paton was the first chiropractor to ever be invited to present research at the pre-Olympic scientific congress. The research was presented in Greece, 2004. Additionally, Dr Paton was invited by a member of the European Parliament as well as the vice president of the World Bank Institute to deliver a lecture at the European Parliament in November, 2010 in Brussels, Belgium. Click HERE to see photos of Dr Paton at the European Parliament. Although Dr Paton has numerous credentials related to conservative management of sports injuries, his passion is in helping families find true health through chiropractic care. We hope you enjoy the information within and share it with others. 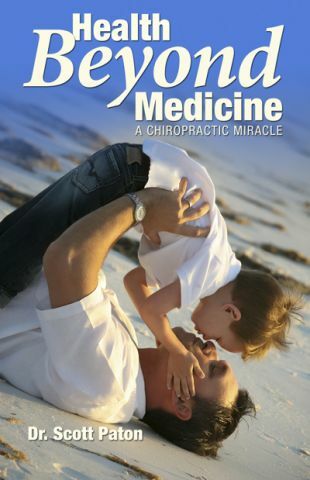 Again, thank you for visiting www.patonchiropractic.com and remember to come back often. Watch Dr. Paton and Hear from Real Patients! Watch Dr. Paton's TV interview below, or click here to see even more.